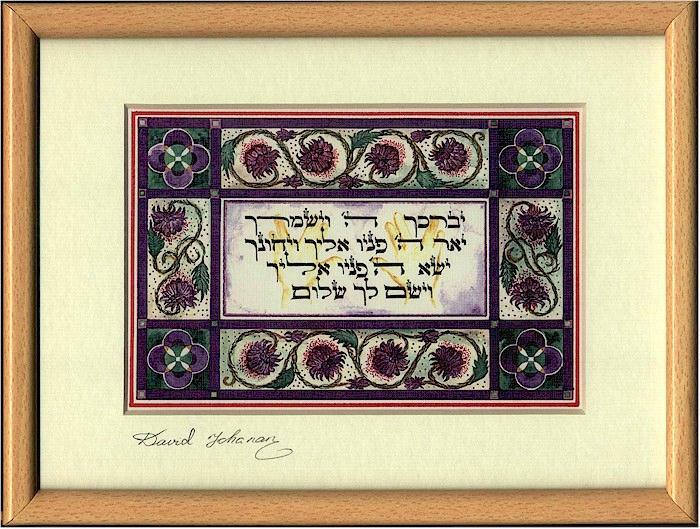 This beautiful lithograph, signed by the artist, was created and printed in Jerusalem. 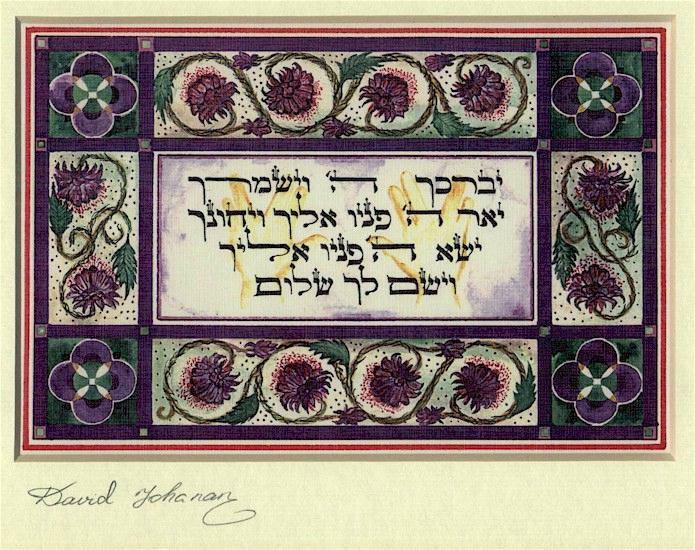 The Hebrew inscription is from Numbers 6:24-26. 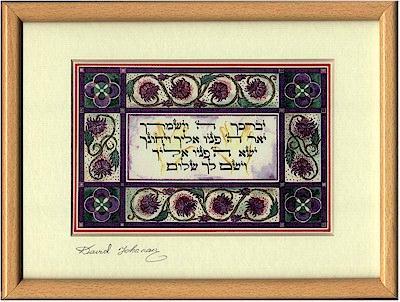 It translates as: "May God bless you and safeguard you. May God make His countenance shine upon you and be gracious to you. May God turn His countenance toward you and grant you peace." It is the prayer that the holy priests in the ancient Jewish Temple in Jerusalem used to give to the Jews who came to give sacrifices and is still given in Jewish congregations throughout the world by their descendants. It is also the prayer that Jewish parents give to their children on the eve of the Jewish Sabbath (Shabbat). In the background you'll notice a pair of hands with fingers spread out in the sign of the High Priest when giving the priestly blessing. It comes matted and framed. Measures: 10 x 8 inches.